I think that every sysdamin has this need. It is like "I have a need - the need for speed". So basically when I see 400 operations per second as upper limit on some SATA drives the I cry very loudly. 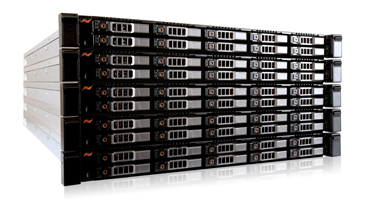 But bussiness can't always provide RAID10 array of 4x240GB Intel SSD drives / $4000. I faced this problem lately. While improving environment performance for continuous integration I noticed how drastically we have this need for iop/s on every Jenkins and Selenium nodes. So we have this bleeding-edge-storage which has couple of enterprise class SSDs but honestly I didn't want to sacrifice those holy part of our infrastructure for some ephemeral work. I just wanted some drives which would provide me w/about 15-20k iop/s. Simple, cheap SSD drives. And this was it. What about buying desktop - class SSD drives? So... what kind of drives? According to this The best price to longevity ratio will give you Kingston HyperX drives ($100 each 240GB drive). So basically you can set up RAID1 for $200 or RAID10 for $400. Of course this is just for some temporary data. Those kind of arrays should't be there for crucial datastores. And of course - remember about capacity planning. When I see 600TB written as the moment in time when the drive will be dead I can basically say, that $200 RAID array will need to be replaced in 18 months. Wow - this is really nice lifetime for this at this price. So I actualy created 2xRAID10 arrays (240GB Kingston HyperX drives) what gave me 2x0,5TB in RAID10 / local storage for $1000. And I'm gonna replace this in about 1,5 year (maybe still as a subject of warranty). Great deal imo. If I did want to but enterprise class disks (like Intel) for this purpose I would have to pay 8*$1000 and that is a horrible amount of goldies.